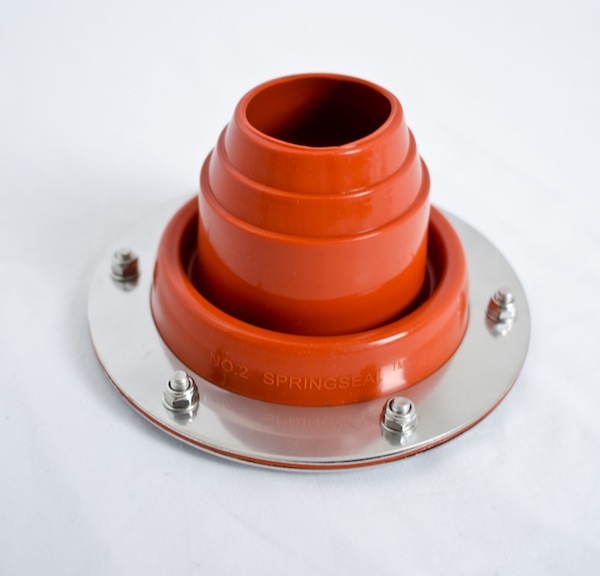 This flashing kit has been designed to enable the Frontier Camp Stove to be installed into the roof of your shed or workshop. Eco Consumer Products accept no responsibility for the use or misuse of the Frontier Flashing Kit and Frontier Stove. We recommend this for use only with the Frontier Stove and any fire retardant canvas tent, tipi or yurt. It is the customer’s responsibility to ensure the shelter used has the appropriate fire retardant qualities necessary. We advise not to leave the Frontier Stove unattended in the shelter and to make sure it has been extinguished prior to going to sleep. It is highly recommended that a Carbon Monoxide Alarm is fitted inside the shelter. Always make sure the Frontier Stove is positioned on something fire retardant i.e. fire blanket, as accidental sparks may go straight through the groundsheet. Eco Consumer Products does not accept any liability to any party for loss or damage incurred by use of the Frontier Flashing Kit and Frontier Stove howsoever caused. Each kit comes with full fitting instructions. Free on Orders over £40!